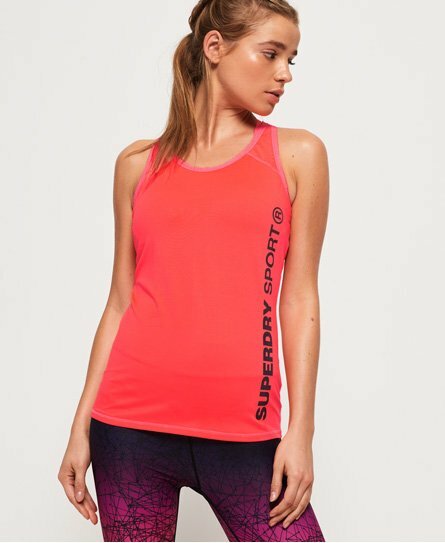 Superdry women’s Core fitted mesh panel vest. This racer back, fitted vest is made with moisture wicking technology, and the mesh panelling allows for ventilation, keeping you cool and comfortable as you smash your workout. The four way stretch fabric and flat lock seams provide second skin comfort, allowing the vest to move with you. Finished with a Superdry Sport logo down the front, this vest has been designed with both style and performance in mind.